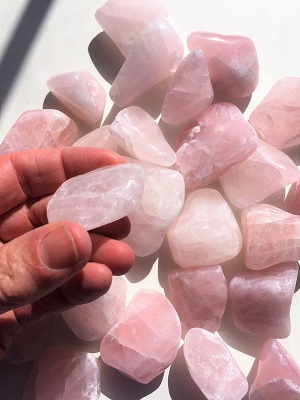 Beautiful, natural soft pink colored semi-translucent Rose Quartz Crystal tumbled stones from South Dakota, USA. 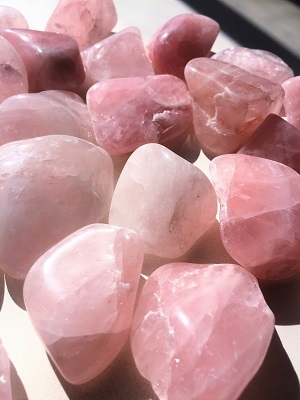 Connecting to the heart chakra, Rose Quartz is one of the most important crystals for the heart teaching the true essence of love. 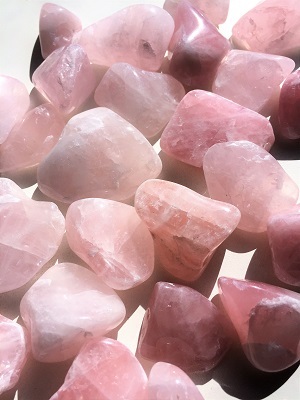 The pink hues of Rose Quartz reflect love and compassion encouraging these beliefs to find their way into expression. Rose Quartz works with a person’s love and with divine love at the same time. 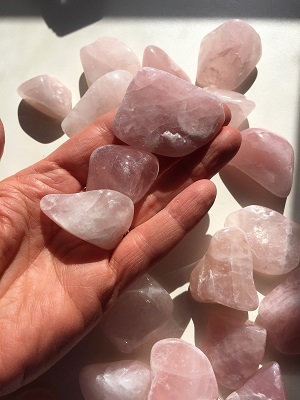 Rose Quartz purifies and opens the heart on all levels, and brings deep inner healing and self-love. Rose Quartz is calming, reassuring and excellent for use in trauma or crisis. Rose Quartz strengthens feelings of empathy and sensitivity and aids the acceptance of necessary change. Rose Quartz restores trust and harmony and encourages unconditional love in relationships. Rose Quartz encourages self-forgiveness and acceptance and invokes self-trust and self-worth. In healing, Rose Quartz helps to strengthens and supports healthy heart functions. Rose Quartz aids the circulatory system and releases impurities from body fluids. Placed on the thymus, Rose Quartz aids chest and lung problems. Rose Quartz heals the kidneys and adrenals and alleviates vertigo.